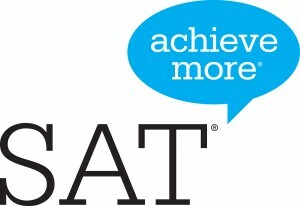 The SCHOLASTIC APTITUDE TEST (SAT) is a necessary component of the admission processes of American colleges and universities. Many schools solely use SAT scores to determine whether a student is worthy of admission into their institution. At Elpis Academy, we offer a unique SAT preparatory course for students who want to gain an edge on their competition. Our classes are taught by specially trained teachers who have studied what test makers are evaluating when students write the tests. Thus, we are able to provide comprehensive material and fundamental strategies that students need to do well on the exam. Which parts of the test do we cover? Learn how to skim and how to scan. Know what each question is really asking you to do! Know which words give you clues to the answer. Learn how to define words you’ve never seen before! Learn how to correct mistakes and how to write convincingly! Learn about the concepts and types of questions that you will need to know for the test! Learn how to manage your time wisely! Determine which questions to answer first, which questions to guess on, and which questions not to even attempt!